Thread by @SarahTaber_bww: "Sort of a tricky issue, but not really? US ag business models *depend* on creating a legal underclass to do farm labor. (Indentured servants […]"
Sort of a tricky issue, but not really? If those jobs were worth having, we wouldn't need to make artificial underclasses to do them. Manufacturing figured out decades ago that it needed to get better productivity per worker in order to survive. Ag is now finally having that moment, decades later than it should have. This Day in Labor History: August 15, 1914. The Panama Canal is completed. Let's talk about the workers who built this and the incredibly, albeit typical for the era, racist system the United States installed to do so. Much of the story about the Panama Canal is well-known, including how Theodore Roosevelt stole Panama from Colombia to create the Canal, a classic act of imperialism in two nations that would long feel the brunt of American interventionism. But what about the workers? 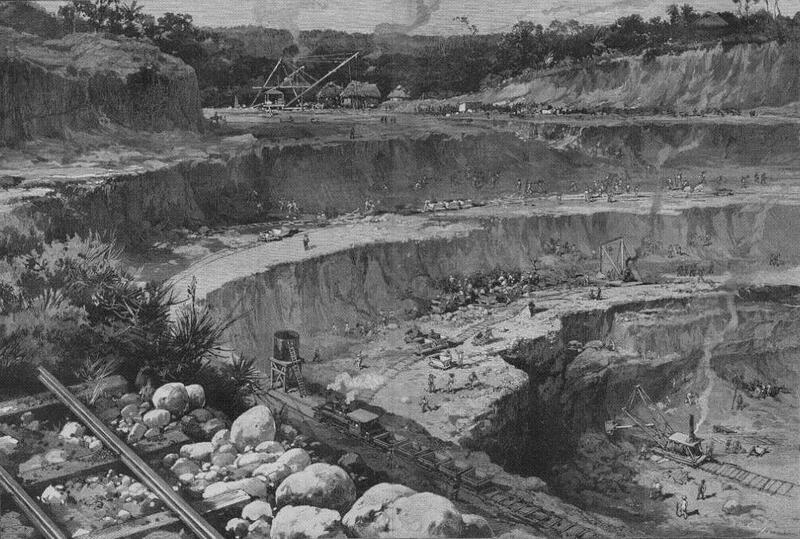 The first real transportation labor in what would become the Panama Canal took place in the 1850s, when Chinese and African laborers died by the thousands building railroads in the area that later became the Canal. "Independence Day" itself is something POC observe with wry detachment bc, I mean, really, white folks weren't *that* bad off before 1776. Black folks celebrate Juneteenth but that just ended legal slavery. We still had to endure sharecropping, lynching, and Jim Crow. Taxation without representation? We'd have loved that. The conditions the American colonists lived under were roughly equal, if not overtly better, than what black people endured in the segregated 1950s South. Curiously, we never took up arms. Throughout history, tyrannical rulers have dehumanized minority groups to justify denying them basic rights. Referring to classes of human beings as “not people,” but “animals” is the language of Nazis, white supremacists, American slaveholders, and Jim Crow lawmakers. Today @realDonaldTrump called immigrants "animals". Our own history teaches that true democracy depends on protecting the rights of minorities. The language POTUS used today has no place in a discussion of immigration policy or law enforcement in our democracy. 1 - Journalists, foundations that fund journalism, publishers, city officials, venture capitalists/ hedgies who've bought news orgs, and people who care about democracy, we need to have a chat this morning. 2 - Some of you were at #ONA17 and at the recent @knightfdn Media Forum, and you heard my catastrophic scenarios for the near-future of news. These weren't predictions. I don't make predictions. These were plausible data-driven models showing where we were headed. 3 - The past few weeks have been brutal. Mass layoffs, consolidation, and announcements about dubious new job titles. 2.If you want history, read a history book. The only thing a guy on a horse in the town square tells you is who they put in the town square. 3. And don’t think we haven’t noticed the same people saying "we need to preserve history " are whitewashing history textbooks.